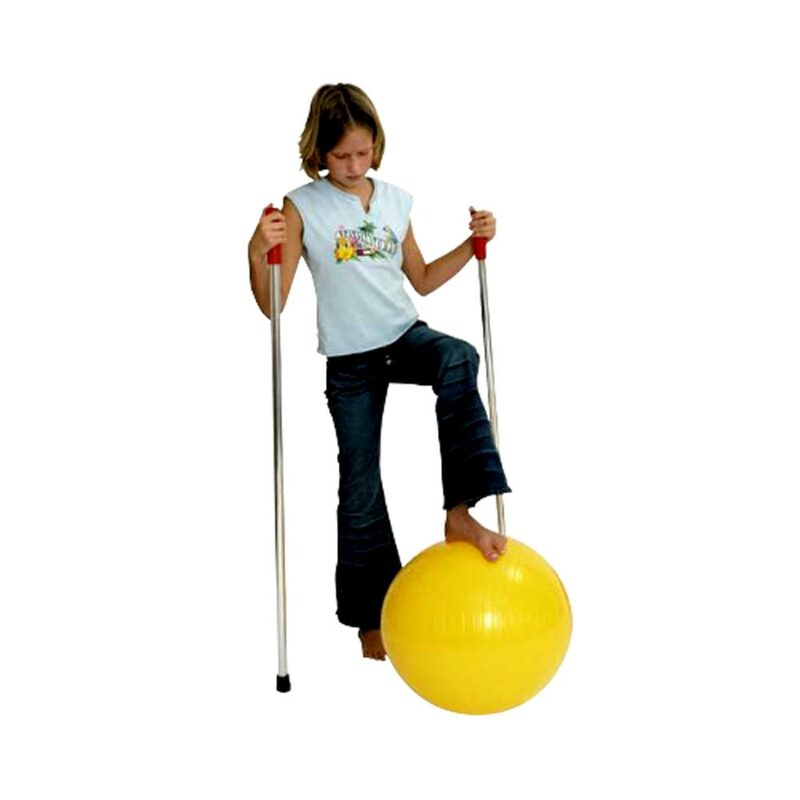 Kaye balance poles are versatile aluminum poles that can be used in therapy programs when a child needs minimal support for high level balance activities. Balance poles are useful when a child needs only minimal external support while practicing and developing higher level motor skills such as single leg standing, stepping up and down or backward walking. Rubber tips provide friction against the floor. Balance Poles are 46” tall and comes in set of 2.